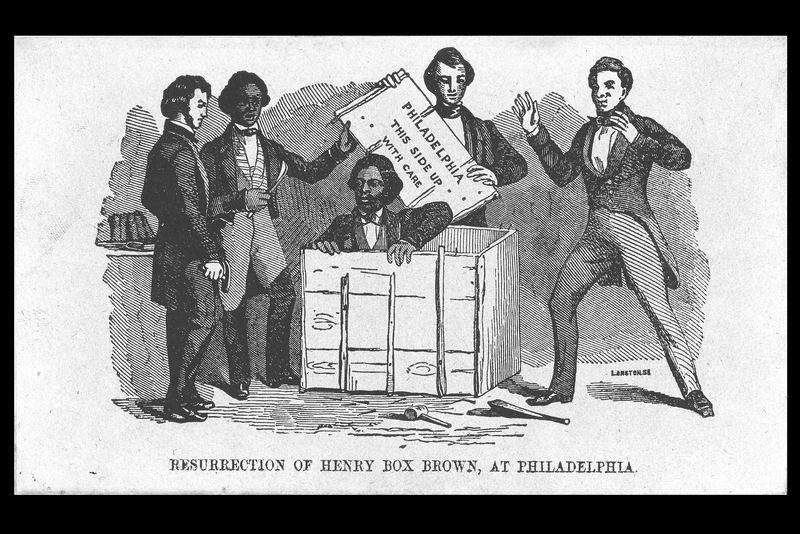 Since publishing an article in 2015, titled “Will the Real Henry ‘Box’ Brown Please Stand Up?”, Cutter says she’s been contacted nearly weekly by individuals interested in Brown, from artists and filmmakers to historians and journalists, and even magicians. The article revealed, based on Cutter’s research, new information about Brown, including how he learned magic – from a fellow slave – and where he passed away: Toronto. After his dramatic emancipation, Brown became a speaker in the North, where he first received the nickname “Box” at the Anti-Slavery Society and met noted abolitionist and former slave Frederick Douglass. While campaigning against slavery, he developed a panorama – large art scrolls that he would unfurl – to support his speeches and story. Upon the passage of the Fugitive Slave Act in 1850, he moved to England for safety. 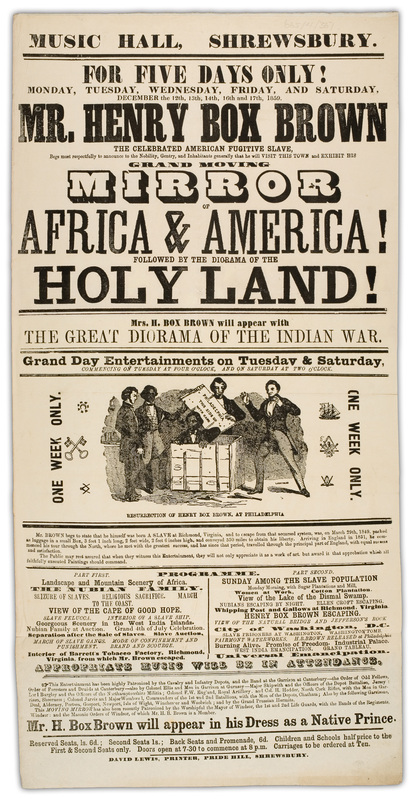 Minstrel shows were the rage in Britain, notes Cutter, and Brown began developing a show of his own, blending panoramas, magic, and plays, in which he called himself such names as “Prof. H. Box Brown” and “The African Prince.” In later years, he experimented with so-called electrobiology, a form of hypnotism. “Douglass was dignified, serious – he didn’t smile in portraits or photographs,” because he felt people would ridicule African Americans if they weren’t seen as serious, says Cutter. Cutter’s forthcoming book, provisionally titled “Slavery as Spectacle: The Lives and Afterlives of Henry Box Brown,” will help to fill the gaps in Brown’s life and feed the public interest in his legacy, she says. It will examine both a little-studied method for anti-slavery activism, namely, Brown’s performances; and will bring to life the artistic endeavors of one of the most enigmatic figures of abolitionist history. Previous funding for this project was provided by a $10,000 Research Excellence Program award from the Office of the Vice President for Research.